Professional codes: Why, how, and with what impact? 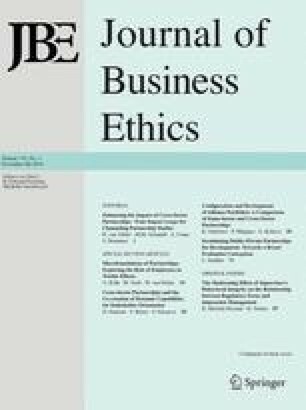 A tension between the professions' pursuit of autonomy and the public's demand for accountability has led to the development of codes of ethics as both a foundation and guide for professional conduct in the face of morally ambiguous situations. The profession as an institution serves as a normative reference group for individual practitioners and through a code of ethics clarifies, for both its members and outsiders, the norms that ought to govern professional behavior. Three types of codes can be identified — aspirational, educational and regulatory. All codes serve multiple interests and, as a consequence, perform many functions, eight of which are discussed. The process of developing a code of ethics is assessed because of the role it plays in gaining consensus on professional values and ethical norms. After discussing some of the weaknesses in current approaches to professional self-regulation, several new private and public initiatives are proposed. Mark S. Frankel is Head of the Office of Scientific Freedom and Responsibility of the American Association for the Advancement of Science, where he is Staff Director of the Association's Professional Ethics Program. Prior to joining AAAS, he was Director of the Center for the Study of Ethics in the Professions at the Illinois Institute of Technology in Chicago. His recent research and writings focus on the role of professional societies in promoting ethical practices by their members. He has conducted several workshops and seminars on ethics for corporate managers, scientists, and engineers. 1.American Association for the Advancement of ScienceWashington, D.C.U.S.A.